The Tarot of Cocktails deck of recipe cards is sure to help raise your spirits. With thirty different original recipes to pick from, this magical cocktail card game will help you get out of your drinking rut. Rather than sticking with your old stand-by Gin and Tonic, let the cards be your guide! 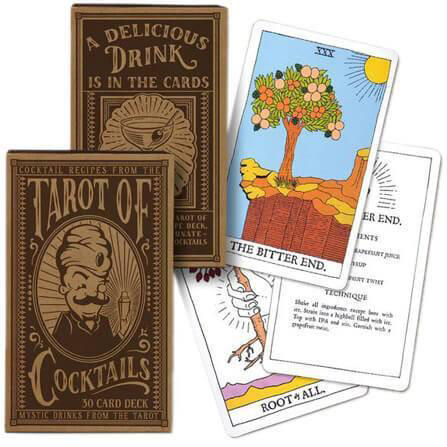 The Tarot of Cocktails deck of recipe cards is the perfect addition to any home bar. 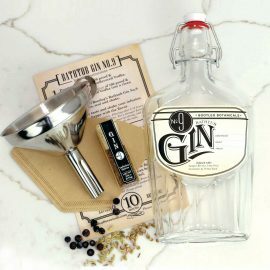 Whether given to the fortune teller mixologist in your life or used to guide your next booze adventure, you’re sure to add fun to your nightcaps or while entertaining a crowd of thirsty friends. While the spirit of classic tarot dwells within these cards, this deck is designed for making delicious drinks (not divination). Designed and written by Katie Seibel from our old hometown of Portland, Oregon; we fell in love with these adorable Cocktail Fortune Cards while at Tales of the Cocktail in New Orleans. 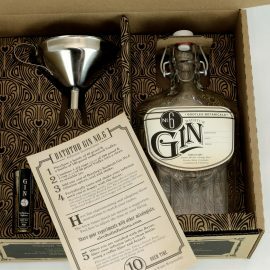 Not only is the vintage inspired packaging to die for, who doesn’t love adding fun to their daily drinking. 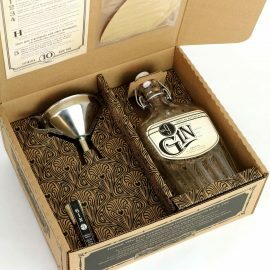 Make your very own batch of citrus bathtub Gin! 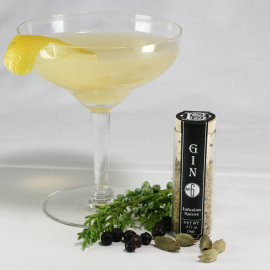 Our all natural, organic Gin No.9 spices transform ordinary Vodka into a bottle of delicious compound Gin in a few short hours. Create a classic citrus Gin just like they did during Prohibition! 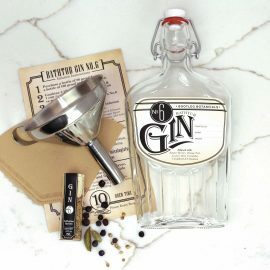 Unlike the ingredients used to mask the flavor of bootlegged booze circa 1920, Bootleg Botanicals Citrus Gin Making Kit includes only the highest quality herbs and spices available to turn ordinary Vodka into a bottle of compound gin in a matter of hours. 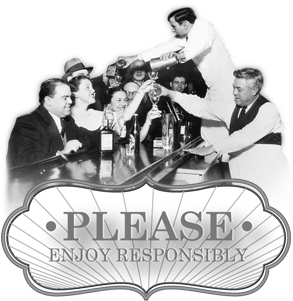 While homemade hooch may have caused blindness back then, your giggle water will be delicious and 100% chemical free. 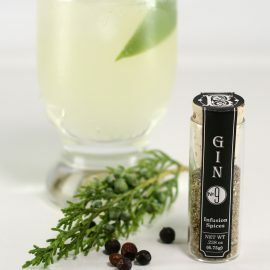 The perfect compliment to any Gin and Tonic recipe. 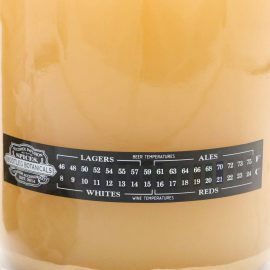 Handcraft your very own batch of alcoholic* Ginger Beer with this handy DIY home brewing kit. 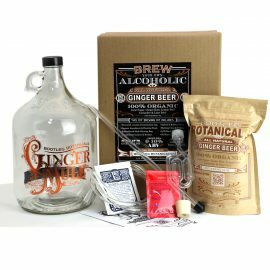 Bootleg Botanicals DIY Ginger Beer Making Kit includes all natural and organic ingredients and the basic brewing supplies needed to make up to 1 gallon of Ginger Beer in about a week.